Hi folks, the new version v2.3.1018 is there! This is mainly a bug-fix release, and if you have encountered error messages in Pagico, please update to this new release. 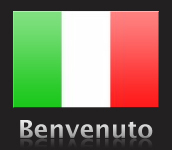 However, there is one special improvement besides these bug fixes, that is: the new Italian localization! Well I think that’s great news for this week that Apple has already announced its latest version of operating system “Leopard” to be released on Oct 26th. This is definitely gonna be cool, and the biggest upgrade since…. tiger. Leave microsft windows in dust, again? Hopefully. However, before upgrading to the new cat, make sure you backed up your precious data as well as Pagico so you have nothing to lose. What (do you think) are the top 3 features in Pagico? These are three features that I used most frequently and therefore the most important features to me. 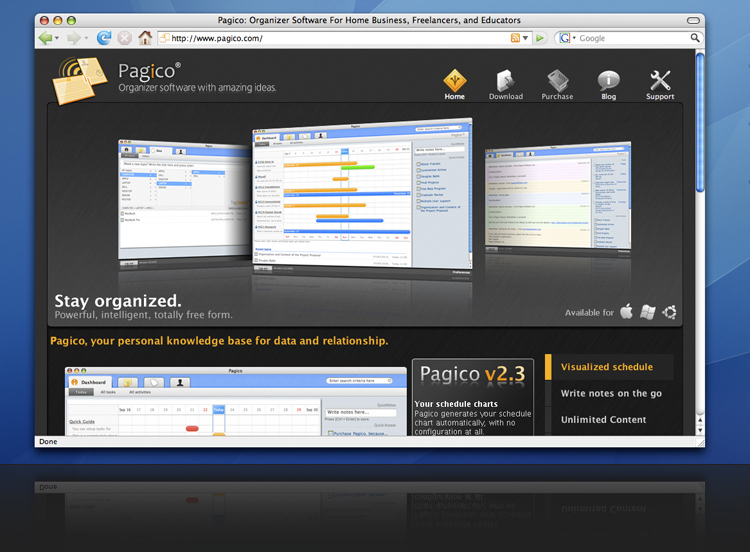 Hmm, here’s another simple (and detailed) guide about the “Activity” feature in Pagico. This is yet another interesting feature that you might not have seen in other softwares. Just as other unique features designed in Pagico, this “activity” feature can be used in many ways. In this article, several sample uses will be covered for demonstrative purposes. Hey folks, as requested by Wade, this is a detailed tutorial in addition to the original TagExploré tutorial article. In this article, I’ll demonstrate how this feature works with a real example. Yep, just like a case study. How are you doing these days? 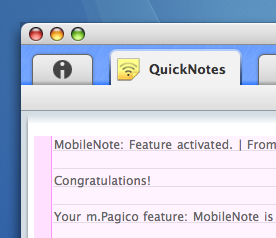 As we’re working on the linux release of Pagico, the beta test of MobileNote feature has not stopped neither. After a couple of weeks working, we’ve finally decided to completely re-written the incoming message handling program, which is believed to be the cause of not being able to receive mobile notes sent from certain email client or device. It turns out that it only accepts plain text messages sent from Apple Mail program. Geez. It loves mac than we do. So, now the MobileNote server has been updated, so anyone who had problems with this feature before, please give it another try to see if it’s working or not. It turns out that this new algorithm needs more tests… 😐 Well, the good news is that it’s been fixed (again), and hopefully you guys can sync with our server and start using this feature! Hi folks, it’s me again (obviously). This is gonna be a wonderful week as we’re proudly to present Pagico, the most unique organizer software, to italian-speak people. This will be an (free, as always) update which will be released soon, together with the Pagico On Linux official release. Special thanks to Claudio Mezzasalma who did the localization in an amazing, lightning speed. So, as of now, Pagico is available in 7 languages and keep counting!